Probably the single most frequently asked question about 3D printing regards the price structure. Unfortunately, for most printing methods, there is no simple answer to this question as the technology is complex and many factors contribute to the cost structure. 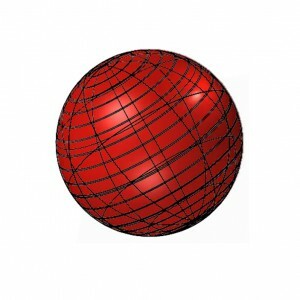 For instant calculation you can easily upload your model. To provide you with an overview, we have summarized some orientation prices, along with factors that determine price and opportunities to reduce costs for your model. In order to get a better sense of the costs according to technology, we provide some orientation prices. These prices are not fixed – pricing will often be below the orientation price for larger objects, and above for smaller objects. If you already have a print-ready 3D model, you can upload it to our 3D Printing Service Tool to get an instant quote. Alternatively, you can ask for a manual quote. Stereolithography (SLA) is a technology with high resolution and low tolerances. It can be used for functional and visual prototypes and some small batch series. 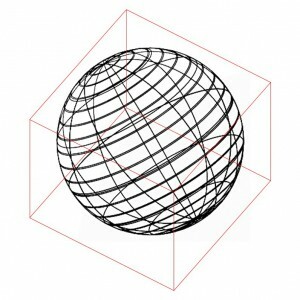 Maximum Bounding Box: 450 x 450 x 350 mm. The tower, a standard model for testing a 3D printer, with a volume of approx. 16 cm³ and a hight of 6 cm. 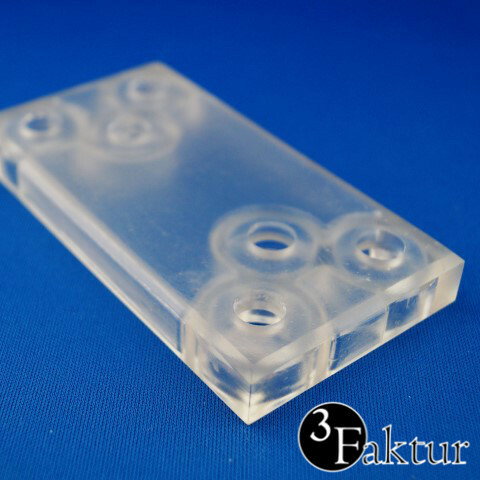 The costs for this model in transparent resin amount to EUR 37,- (+19% VAT). The 3D printing costs for this Element with a volume of approx. 50 cm³ amount to EUR 105,- (+19% VAT). Colorjet allows for full-color prints using full-color plaster material. 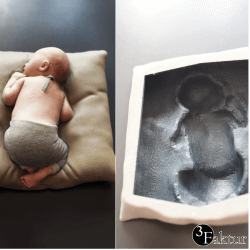 At 3Faktur, you have a choice between standard and premium production processes, where the latter adds several extra steps of surface finishing. Depending on size and production option (standard vs. premium) price are typically between EUR 0,9-1 per cm³. For high-volume parts or large quantities, reductions to EUR 6 per cm³ are possible. Polyjet is very complex. This makes price calculations complicated. Therefor you cannot find any automated offers in our 3D printing Service. But you can upload your model for an instant quote from us. The printing costs for this object with a volume of approx. 30 cm³ (supporting materials included) amount to approx. EUR 130 (VAT included). The material VeroClear was used. For this hands materials were combined (clear material and black/white material for the structures on the inside). The bigger one is printed with flexible material in original size and the smaller ones consist of hard material (right) and flexible material (left). They have a size of approx. 4 cm. Laser Sintering is carried out with PA2200 (Nylon). The material is with wall thickness of 2mm or more stable and with lower wall thickness flexible. For small and middle- sized objects (10 – 100 cm³) generally EUR 1,10-1,60 per cm³ (+19% VAT). For larger objects or small batch series EUR 0,84 per cm³ (+19% VAT). 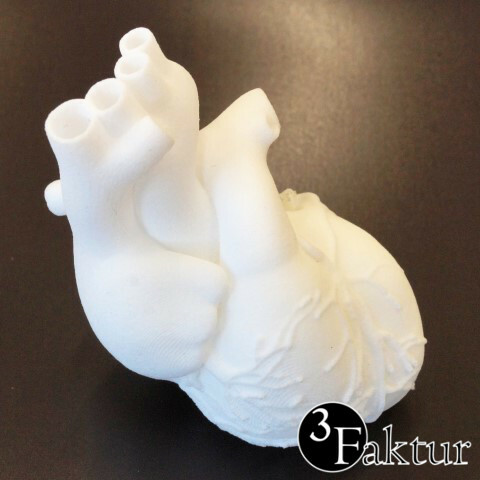 This anatomical model of a heart was produced with Laser Sintering. For a length of approx. 10 cm and a volume of 125 cm³ the price is approx. EUR 140 (+19% VAT). 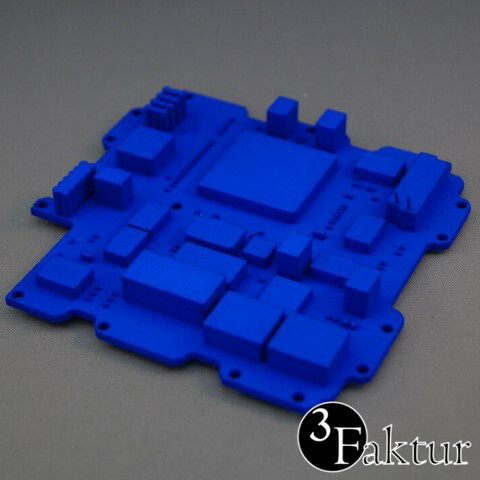 This 3D printed conductor board was produced with Selective Laser Sintering. It has a volume about 40 cm³ and would cost with coloring EUR 58 (+19% VAT). 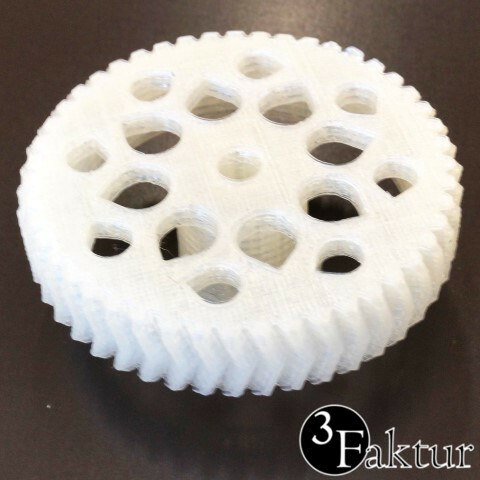 FDM, also called FFF (Fused Filament Fabrication), is a cost-efficient technology. But the surface characteristics are worse than those of other technologies. Therefor it is suitable for first drafts or for hobby models. Ø EUR 0,46 per cm³ (+19% VAT) plus a basic charge of EUR 5,10 (+19% VAT). A gear of PLA. The price is approx. EUR 11,40 (+19% VAT) with a volume of approx. 16 cm³. This housing plate (ABS) with a volume of approx. 75 cm³ and a base area of approx. 14 x 14 cm costs EUR 39 (+19% VAT). VAT (19%) applies to private consumers within the European Union. VAT does not apply for anyone outside the European Union or registered companies within the European Union. 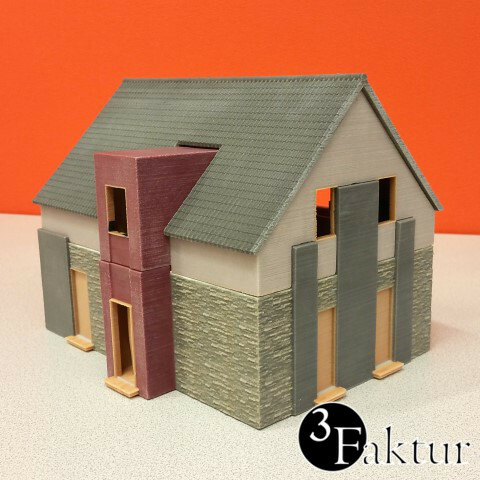 FDM, auch genannt FFF (Fused Filament Fabrication), is a cost-efficient technology. But the surface characteristics are worse than those of other technologies. Therefor it is suitable for first drafts or for hobby models. VAT (19%) applies to private consumers within the European Union. Does not apply for anyone outside the European Union or registered companies within the European Union. The materials used for 3D printing are very specific to the technology (e.g., photosensitive resins), and their compositions differ from conventional materials (e.g., metal powder vs. metal blocks in milling). Therefore, material prices for 3D printing are higher than those for conventional production, and for some technologies this is the factor that most determines cost. 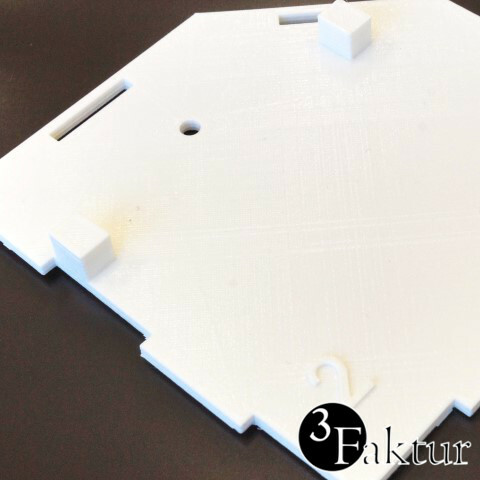 The bounding box of the object to be printed is the product of its maximum length, maximum width and maximum depth. It determines how much space the object occupies in the machine and how long the printing will take. Since production times can be very long (sometimes up to 48h) and (professional) machines are very costly, the bounding box is an important factor in 3D printing pricing. Particularly for asset-heavy technologies, such as direct metal 3D printing, this can be the most important factor. For some technologies and some materials, post-production finishing involves a lot of labor, which can contribute to pricing. An example is direct metal 3D printing, in which fused metal support structures must be manually removed. Depending on the geometry of the object, this can require several hours. Hollow the model: Voluminous models can often be made hollow, especially if they are intended only for visualization. For larger objects, this can reduce the price by up to 80%. However, if you do intend to hollow the model, please ensure that sufficiently large escape holes are left (5 mm in diameter at minimum), allowing for the removal of unused material. Reduce the size: If the model is for visualization purposes and does not require a particular scale, you can reduce the model size. With high-resolution technologies, like SLA or PolyJet, even the smallest details can remain clear at small scales. Further possibilities: Some cost-reduction opportunities are specific to each technology. For example, for technologies requiring support structures, a reduction of geometric complexity can lead to significant cost reductions. 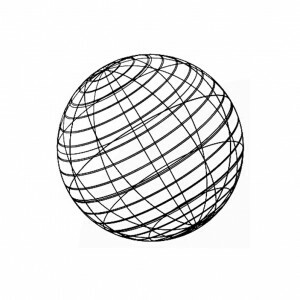 We are happy to help you optimize your model, so don’t hesitate to contact us for advice. Size reduction: HKD ~500 for the small version vs. HKD 10,000 for the large one. Even at small scales, details remain visible as the PolyJet technology permits extremely high resolutions. Hollow objects: This cat figure is completely hollow, reducing printing cost by more than 70% as compared to the solid version. For the ColorJet, please allow an escape hole of at least 5 mm in diameter, so that excess material can be removed, and ensure a wall thickness of at least 3 mm. We are happy to help you to cost-optimize your model – get in touch with us!